In the penultimate week of the Crime Fiction Alphabet meme, run once more by the terrific Kerrie of Mysteries in Paradise, we are of course faced with sharing some crime ficiton-related content surrounding the letter 'Y'. 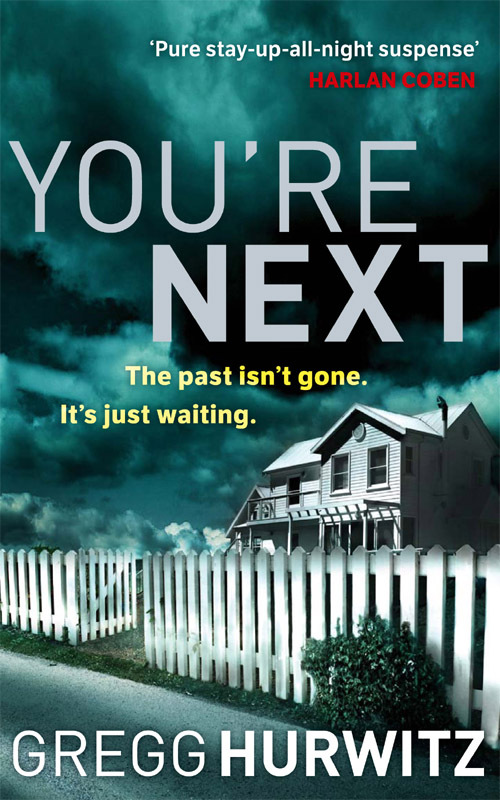 This week, I thought I would focus on one of my favourite 'new to me' thriller writers I have discovered since I began reviewing crime fiction for various publications around the world about three years ago (and therefore reading much more widely) - a book by an author I have really enjoyed reading, interviewing, meeting, and writing about: YOU'RE NEXT by Gregg Hurwitz. After writing high-octane, high-concept thrillers involving serial killers in underground prisons, cults, and more in his earliest work, Hurwitz has increasingly written more 'domestic pageturners' in recent books - tales where seemingly ordinary folk get caught up in the scariest moments of their lives. For me, Hurwitz is one of those authors who doesn't just engage your brain as you follow and enjoy the unfolding story, but actually he really does engage your emotions. I remember reading OR SHE DIES back in 2009, and actually 'feeling' my body react as the characters went through various travails. It wasn't just mentally 'tense', it was emotionally so too. Hurwitz is a writer I recommend to friends who like pacy thrillers that have some interesting character insight too. 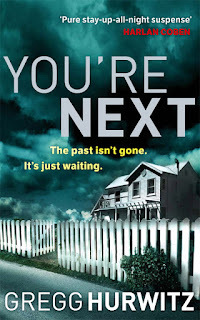 Using the old library 'if you like this, try this...' thing, I'd say that fans of Harlan Coben and Linwood Barclay, amongst others, would really enjoy Hurwitz. For me, Hurwitz certainly succeeded with YOU'RE NEXT, which is a gripping page-turner, full of real emotional tension. To read my full New Zealand Herald feature article about Gregg Hurwitz, click here. You can also read my 9mm interview with Hurwitz here.